Belmond Villa San Michele in Fiesole, just 15 minutes from central Florence, is situated resplendently on historically hallowed ground. One of the most exclusive properties in Italy, this 15th century monastery is the idyllic melding of Renaissance Tuscany and 21st century luxe. The beautiful entrance to the Belmond Villa San Michele with its old Michelangelo façade and perfumed terrace gardens overlooking Florence. 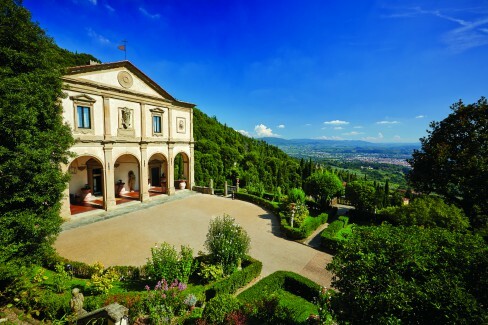 Perched over the undulating hills of Chianti, the Arno Valley and the iconic cupola of Florence’s cathedral, Belmond Villa San Michele is a living museum, with ancient frescoes, historic carvings, alluring Italian style gardens and even a façade attributed to the great Michelangelo! The story of Villa San Michele started when Niccolò Davanzati gifted a little plot surrounded by woodland to some Franciscan monks (also filling the monastery with significant paintings, sculptures and frescoes). In 1900, the monastery was bought by Henry White Cannon, an American who then landscaped the gardens and reinstated the deteriorating structures (the wrought-iron gates and the rust-coloured wall patina can still be seen today). Arriving guests feel as if they’ve stepped into a church nave, complete with an altar and two raised box pews, but with modern art bedecking the walls! The villa was badly damaged during the Second World War and in 1950, its new owner Lucien Tessier set about remodelling 20 rooms on the first floor, financed by enterprisingly opening a portion of the villa as a hotel. 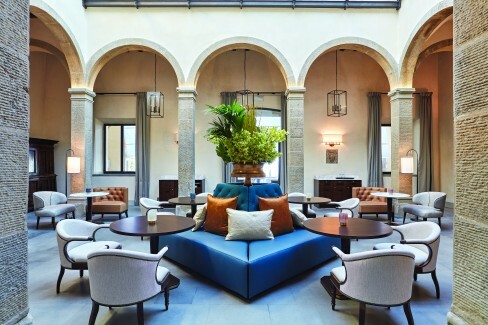 Belmond acquired the property in 1982 and began a systematic restoration of the buildings in collaboration with the Florence Fine Arts Authority. The damage on the Michelangelo façade was staved, while time was spent in additionally re-building the villa’s ancient Limonaia (a storehouse formerly for potted lemons) into two beautiful suites and creating another charming suite out of an old chapel on the grounds – all while staying true to the materials and building methods used in the 17th century. 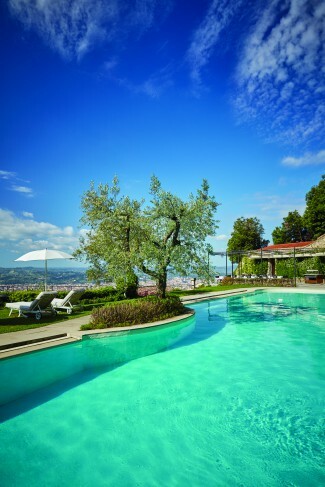 If you’r not lucky enough to be staying in the private Limonaia Suite (on the far end), guests can still relax and enjoy the views under umbrellas strewn about in the fragrant Italian gardens. In the refectory, centuries of smoke, steam and even human breath had discoloured Nicodemo Ferrucci’s fresco of The Last Supper. This highly skilled restoration was carried out by the Opificio delle Pietre Dure, a global leader in the field of art restoration, while the antiquated geometric wooden ceiling in the main hall, displaying the crest of the Davanzati family was also painstakingly restored. Crossing the old wrought-iron gates of the Belmond Villa San Michele, arriving guests feel as if they’ve stepped into a church nave, complete with an altar and two raised box pews. This ‘reception’ area is a riot for the senses, as ancient architecture is juxtaposed with modern art, creating an eye popping,jaw dropping wonder! 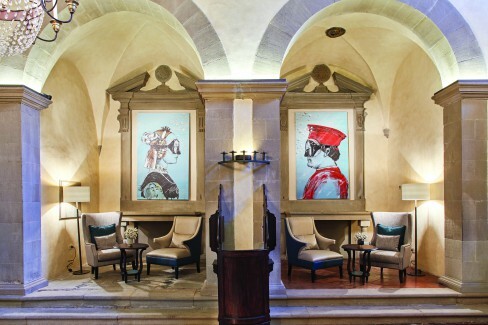 Because of its patronage to the arts, throughout the hotel, modern pieces have been peppered against its historical background, reiterating the uniqueness of this magnificent property through a design language of its own. All rooms have been elegantly decorated with restored pieces, antiques and finely crafted furniture. There are 45 rooms and suites placed both in the former monastery building and around the Italian gardens. Rooms in the historical building have been beautifully decorated and embellished with restored period pieces, antique wardrobes, chairs and finely crafted chests. 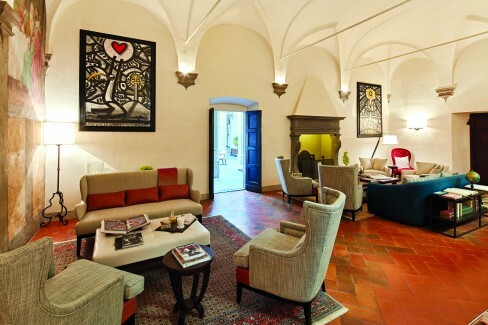 The Michelangelo Suite which is steeped in history as it was originally the monks’ library and later served as Napoleon Bonaparte’s headquarters in Florence, extends across the entire width of the entrance façade. 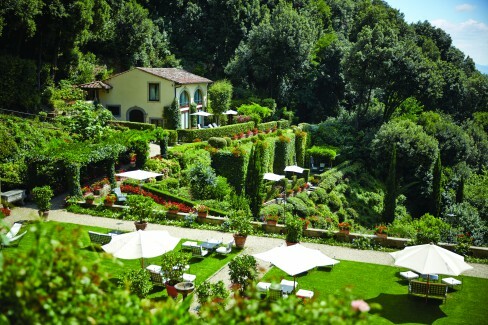 For many, Belmond Villa San Michele’s exquisite gardens that were planned in the eighties by Pietro Porcinai (one of the finest Italian landscape architects of the 20th century) is every bit as unforgettable as its Renaissance frescoes and picturesque views. Garden rooms open out onto fragrant flowers like Chinese hibiscus, Jasmine and the Villa’s 300-year-old purple wisteria wafting through the air. Contemporary yet understated furniture melds perfectly under old stone arches harmoniously blending the ancient with the modern. At night, the natural grandeur of the landscape is further accentuated by the lighting specially created by Pietro, who had not only prototyped the eggshaped lanterns strewn around the grounds, but had also conducted a thorough study of all the flora around before drafting his grand plans. In the old refectory, guests can lounge under Nicodemo Ferrucci’s fresco of The Last Supper and also admire modern art pieces that hang proudly beside it. 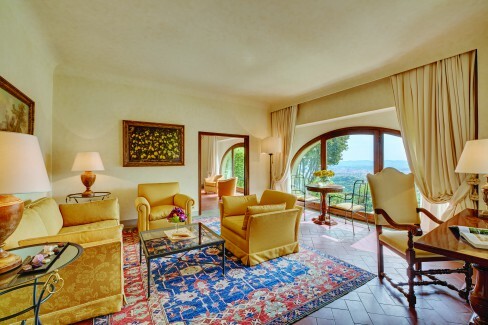 But for unrivalled views over Florence, the Limonaia Suite is the most coveted. Built in a former orangery, it has a heated stone plunge pool ensconced in a perfumed garden, a private patio, a stylish marble bathroom with both walk-in shower and bathtub and an elegantly decorated room adorned with old world Italian charm. Another gorgeously appointed suite is the endearing little chapel with it’s intricately restored frescoes, also situated in a quieter part of the resort. Being in Italy, food and history are a marriage made in heaven. Serving some of the region’s finest cuisine, made from fresh local produce and seasonal ingredients, The Loggia Restaurant has tables set among the soaring stone arches with ringside seats overlooking Tuscany. Serving some of the region’s finest cuisine, The Loggia Restaurant has tables set among the soaring stone arches with jaw dropping views of Tuscany. Besides enjoying traditional dishes and trendy cocktails in the glamorous Cloister Bar (where tradition meets leather, brass and marble in flashes of modern sophistication), the gardens or the pool terrace, serious foodies can even take a class at the hotel’s renowned cookery school. 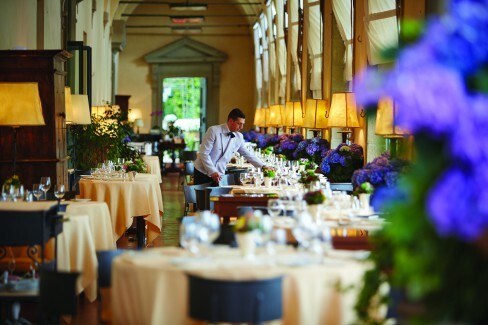 Other unique experiences offered at the Belmond include clay modelling at Florence’s Galleria Romanelli and a private visit to the Duomo terraces. Since the Villa San Michele is so enthusiastic about promoting local talent, it also offers its guests a one-of-a-kind graffiti class in the studio of the popular street artist Hopnn, whose work one can admire at the hotel’s check-in area. 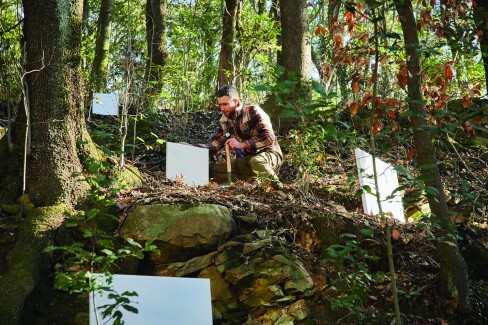 Italian artist Roberto Ghezzi places his canvases around the hotel grounds for mother nature to ‘draw on’. As part of its Street Art Exhibition in 2017, where prominent artists had been commissioned to create installations and artworks around the hotel, two women artists stand out, namely Carla Bru whose muses are hung in the restaurant and the almost child like paintings by Nian, whose feminine deities interpreted as little girls of different ethnicities can be seen in the kids’ library area. But the most noteworthy ‘art’ at the Belmond Villa San Michele has been an unusual experiment conducted by Roberto Ghezzi whose unique pieces are created by the elements. This Italian artist was so captivated by the contradiction of human activity at the hotel for most of the year and the eerie stillness of its winter months, that he placed in-situ 15 canvases of different sizes around the hotel grounds and has left them for mother nature to ‘draw on’. 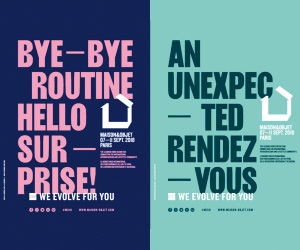 When ready, the canvases will be extracted and exhibited on illuminated cubes for both guests and art lovers alike. The undulating pool at the top of the gardens, has picturesque views of the city below. Established almost 40 years ago, Belmond Ltd. owns and operates 46 amazing and distinctive hotel, rail and river cruise experiences in many of the world’s most sought-after destinations. With guests like Bono, Paul McCartney, Robert De Niro, the late Steve Jobs, HRH The Prince of Wales and Julia Roberts choosing the Belmond Villa San Michele as their home away from home, no wonder ‘la dolce vita’ has never been sweeter here!